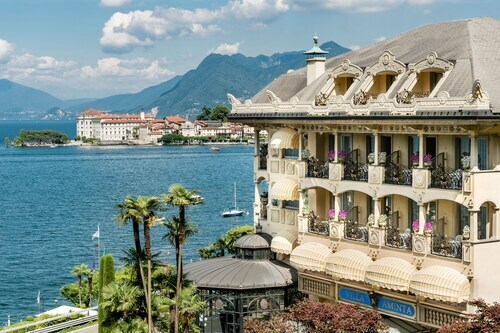 Located directly on Lake Maggiore, this luxury spa hotel is just 0.1 km from Villa Ducale and 0.5 km from Villa Pallavicino Park. Iles des Borromees Golf Club is 3.4 km away. 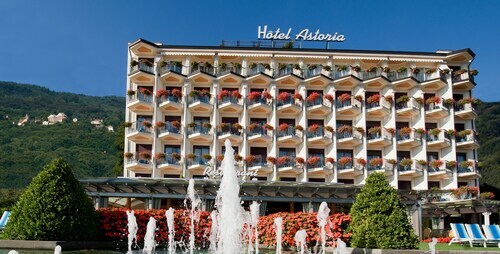 Situated on a lake, this hotel is steps from Stresa Ferry Terminal and Villa Ducale. 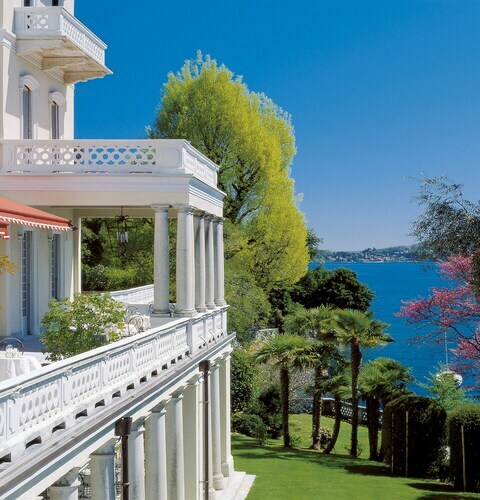 Congressi Palace and Villa Pallavicino Park are also within 10 minutes. Stresa Station is 13 minutes by foot. 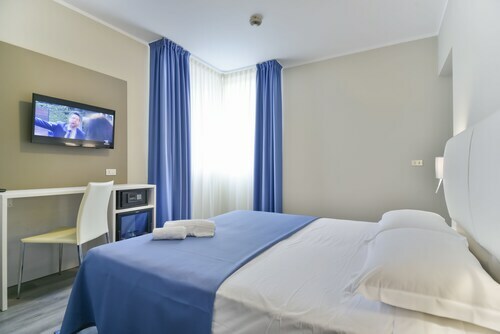 Situated near the airport, this hotel is 0.6 mi (1 km) from Martiri Plaza and within 6 mi (10 km) of Dulzago Abbey and Safaripark. Caltignaga Castle and Volandia Museum of Flight are also within 9 mi (15 km). Oleggio Station is 19 minutes by foot. 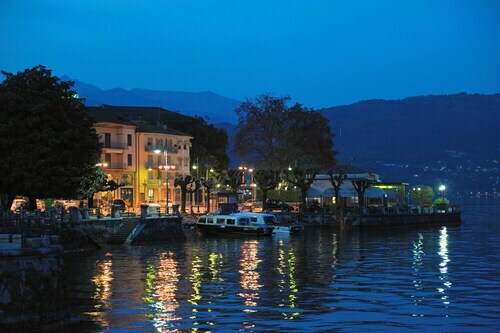 Located in the heart of Verbania, this hotel is within 1 mi (2 km) of Intra Ferry Terminal, Villa Taranto, and Villa Taranto Botanical Garden. Santo Stefano Parish and Madonna di Campagna Church are also within 2 mi (3 km). Laveno Mombello FNM Station is 25 minutes by foot. 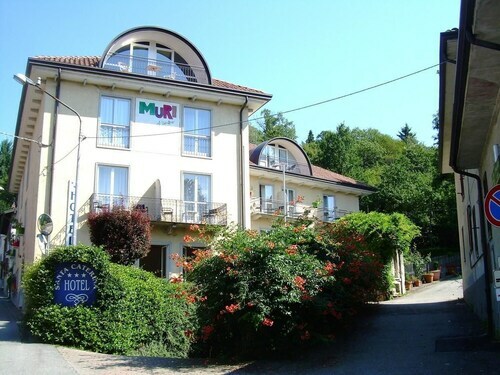 Situated on a lake, this hotel is within 1 mi (2 km) of Sacred Mountain of Orta and Lake Orta. Mario Motta Plaza and Villa Bossi are also within 1 mi (2 km). Orta-Miasino Station is 8 minutes by foot. Situated near the airport, this hotel is 5.8 mi (9.4 km) from Safaripark and within 12 mi (20 km) of Volandia Museum of Flight and Castelconturbia Golf Course. Lake Orta and PalaYamamay are also within 16 mi (25 km). 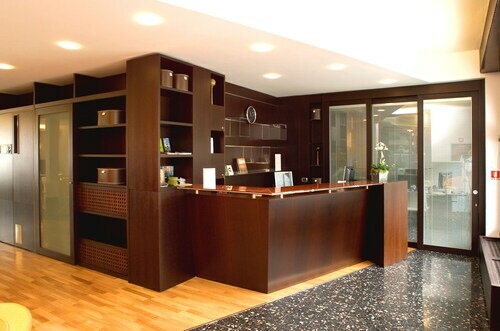 Located in the heart of Baveno, this hotel is within a 5-minute walk of Church of Saints Gervase and Protaso and Baveno Ferry Terminal. Villa Henfrey-Branca and Villa Fedora are also within 10 minutes. Baveno Station is only a 5-minute walk. 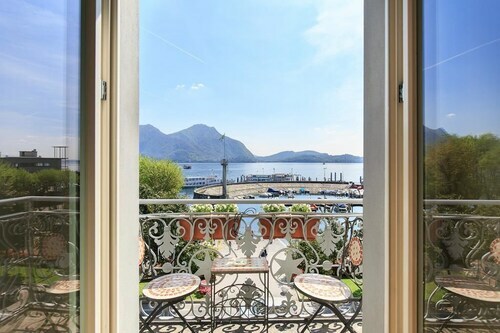 Situated in Baveno, this golf hotel is within a 10-minute walk of Baveno Ferry Terminal, Church of Saints Gervase and Protaso, and Villa Fedora. Villa Henfrey-Branca and Adventure Park are also within 2 mi (3 km). Baveno Station is 7 minutes by foot. 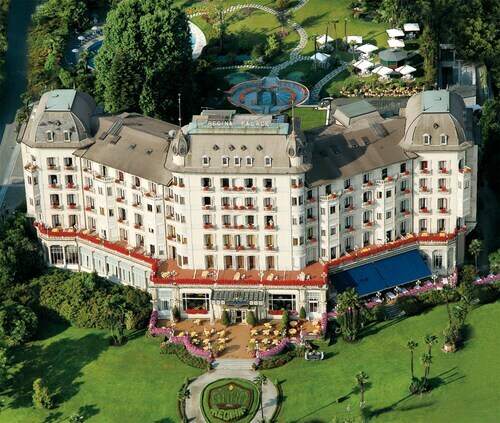 Located in Stresa, this beachfront hotel is next to a golf course and within a 15-minute walk of Stresa-Alpino-Mottarone Cable Car, Carciano Ferry Terminal, and Isola Bella. 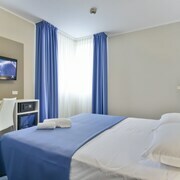 Borromeo Palace and Garden and Isola Madre Botanical Garden are also within 15 minutes. Stresa Station is 21 minutes by foot. Situated on a lake, this luxury hotel is within a 15-minute walk of San Leonardo Church and Paesaggio Museum. Santo Stefano Parish and Villa Taranto Botanical Garden are also within 1 mi (2 km). 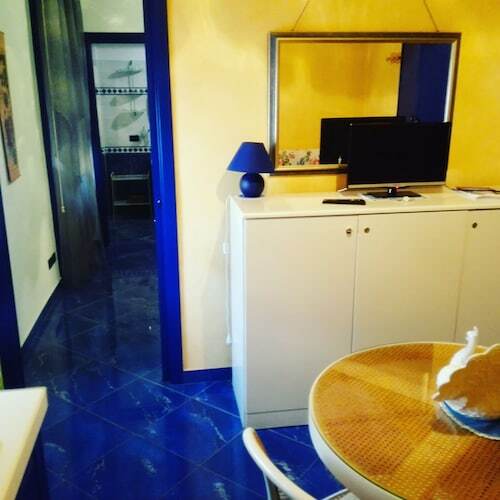 This family-friendly Novara apartment building is located near the airport, within a 5-minute walk of Piazza Garibaldi and Cavour Plaza. Basilica of San Gaudenzio and Natta-Isola Palace are also within 15 minutes. Novara Station is only a 3-minute walk and Novara Nord Station is 9 minutes. How Much is a Hotel Room in Northern Piedmont? Hotels in Northern Piedmont start at $49 per night. Prices and availability subject to change. Additional terms may apply. Pack your bags—it’s time to embark on a getaway. Whether you’re craving a solo retreat or promising your family a vacation to remember, book one of the best hotels in Northern Piedmont. These hotels are located within easy access of the city’s hottest attractions and entertainment, so you won’t miss a beat while you’re in town. Spend the days exploring the local landmarks and the evenings getting to know the nightlife. After exploring the city from top to bottom, rest up at a hotel that speaks to you. Find the perfect place that matches your trip’s vibe, from a trendy boutique to family-friendly accommodations. Allow us here at Travelocity to pair you with up Northern Piedmont hotels that suit your vacation preferences. Discover places with convenient on-site restaurants, around-the-clock service, and pools where your kids can make a splash. Some hotels may boast fitness rooms and spa services, while others feature game rooms and Wi-Fi access. To top it all off, you’ll score cheap hotels in Northern Piedmont that let you spend more on your activities and less on your lodging. Book and bundle your flight and hotel deals together today and save up to $537. It’s time to explore a new city, and break out of your routine. The Hotel Bel Sit was great. We had a great room right on the lake and was nice a spacious. The best part about our 3 night stay was the Hotel Manager Marco.! He was great very friendly, very knowledgeable about the area and gave us a couple really fun things to do while we were there. The hotel it's self is a hidden gem with a little attention and some hustle that place could be a really cool spot to stay.! Good experience, staff friendly and helpful great location!! 5.0 Nice place for the family. Good location. Short (15 min) walk to center of town. Pool is nice with bar service. Kid friendly too. Also has a heated indoor pool if the weather is not too good. Looks over the lake. Staff was very responsive to an issue we had that was not their fault. Parking on site. Very nice breakfast but not included. 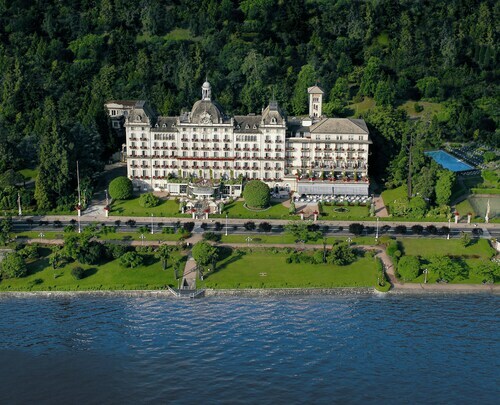 My 11 year old daughter now wants to live in Stresa based on our stay. Take what you will from that. A CLASSY RESORT AND ONE OF THE BEST IN ITALY. 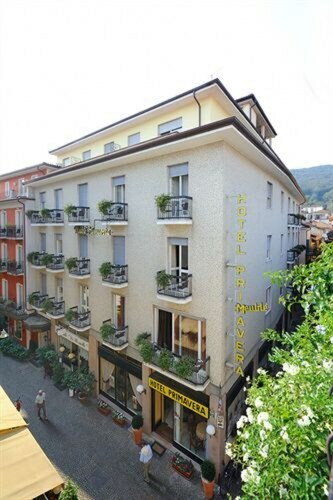 BEAUTIFULLY LOCATED OVER LOOKING LAKE MAGGIORIA. BIG ROOMS GEORGEOUS MAIN LOBBY. WOULD GO BACK IN A HEARTBEAT. GROUNDS PERFECT. SUMMERRESORT FOR MANY CELBS IN PAST.